New Scans0014.BMP, originally uploaded by bucklesw1. 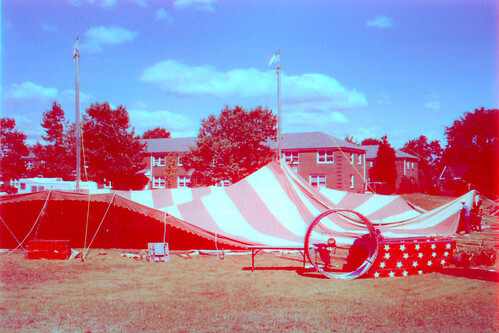 Here's a set of the Vidbel Circus Tent going Up at the Woodrow Willson Housing , Long Branch , N.J. 1988ish . New Scans0015.BMP, originally uploaded by bucklesw1. New Scans0017.BMP, originally uploaded by bucklesw1. New Scans0016.BMP, originally uploaded by bucklesw1. 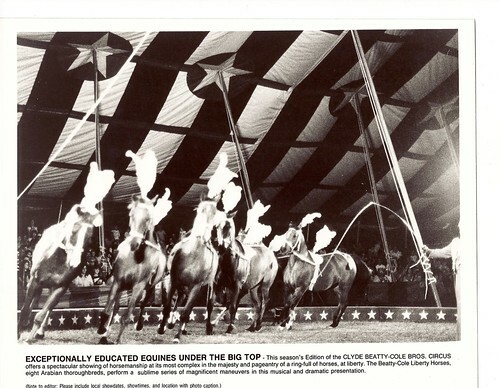 New Scans0019.BMP, originally uploaded by bucklesw1. New Scans0018.BMP, originally uploaded by bucklesw1. 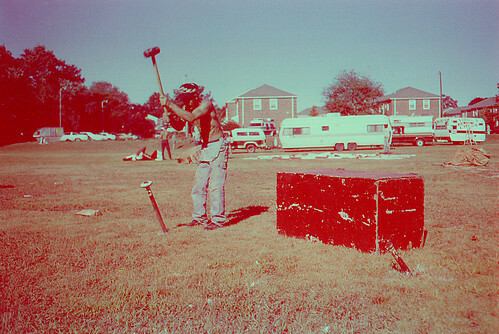 Scan12590, originally uploaded by bucklesw1. We were showing Hanover, New Hampshire with Big Apple when early one morning Covington and I decided to drive down to Springfield, Vermont to watch Roberts Bros. 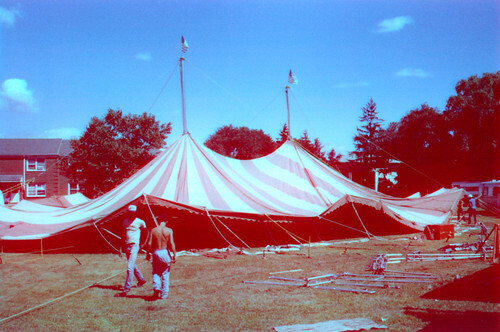 Circus set up. I can't remember the year, maybe Don can, it was in the late 90's. Approaching the lot we pulled over and took a few pictures, I hope his turned out better than mine. Scan12591, originally uploaded by bucklesw1. We arrived in time to drive a couple of stakes and help Turtle set up the awning and in turn was handed a plate of ham and eggs out the back door of the cook house. Scan12592, originally uploaded by bucklesw1. BarnettWQ2-May10,2008, originally uploaded by bucklesw1. My family moved to York in 1935. I was 5, and spent more time on the lot than at home during the winters and felt like family. 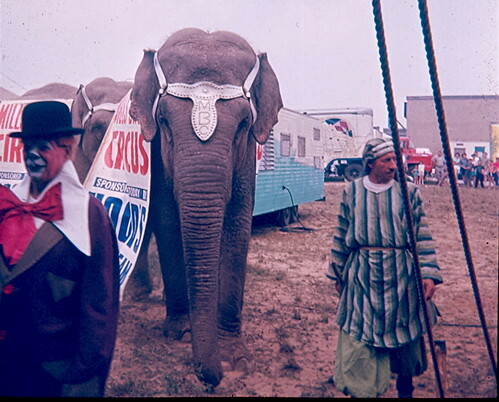 I hope we can talk later, but right now, the Town of York is planning to have a "Circus Appreciation" weekend May 14th and 15th. 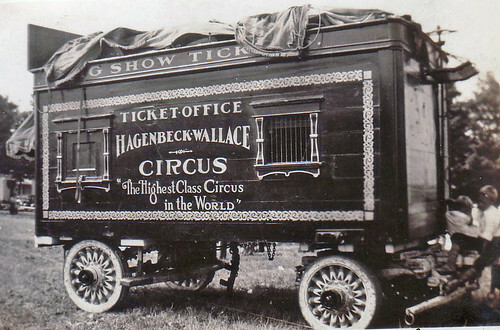 We are going all out and hope to have a town full of Circus stuff , Circus people and tales. 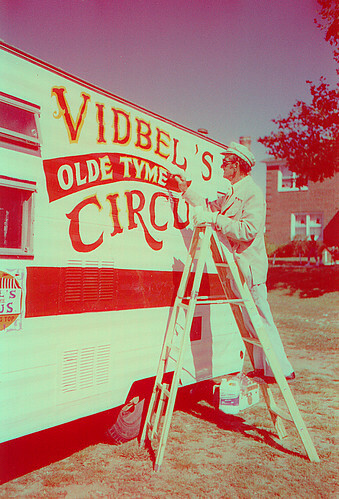 York is still home to a few Circus off-spring from the`late Pete Sadowski and perhaps Texas Ted Lewis. I was fortunate in meeting Lee Powell, Hoot Gibson, Clyde Beatty and others. 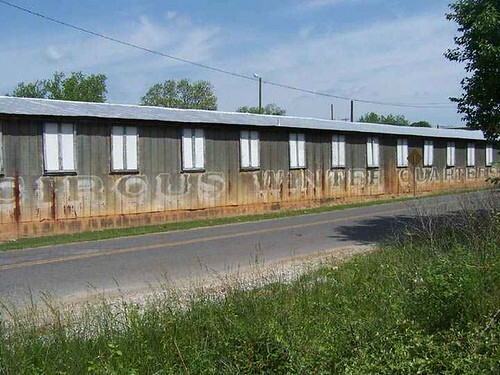 The old workshop is still there and one can read the large faded sign:CIRCUS WINTER QUARTERS. 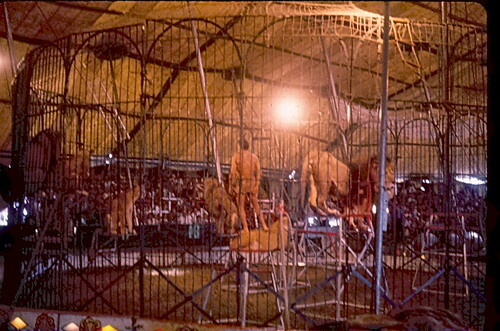 The stone elephant house`is still there. I hope this interests you as it does me. We are closing off all of downtown for P.R. and vendors. 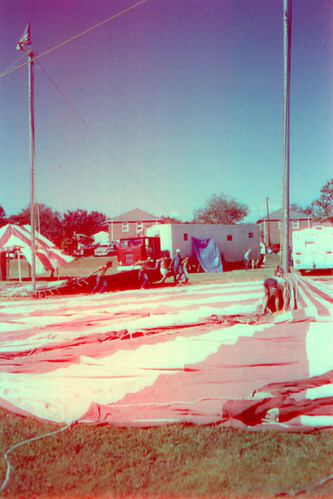 This recent picture from Hal Guyon of the York Quarters brings back some of my earliest memories. The recent passing of Marie Pettus and Tommy Bentley even add to this. 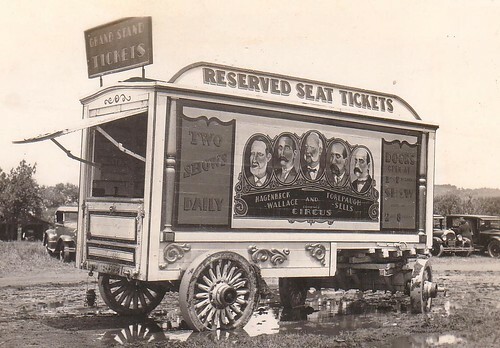 I was born in 1935 and our first season on the Barnett Show was 1937. I hope your event goes well and best regards to all. !cid_X_MA1_1264877164@aol, originally uploaded by bucklesw1. 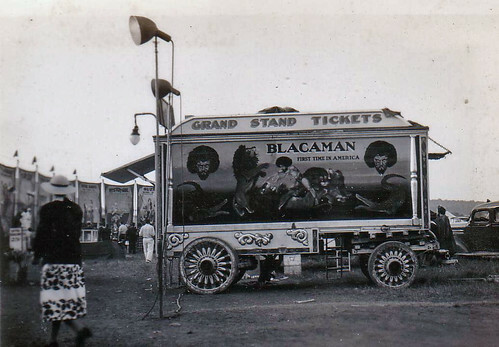 Here's Blacaman on Hagenbeck-Wallace in 1938. 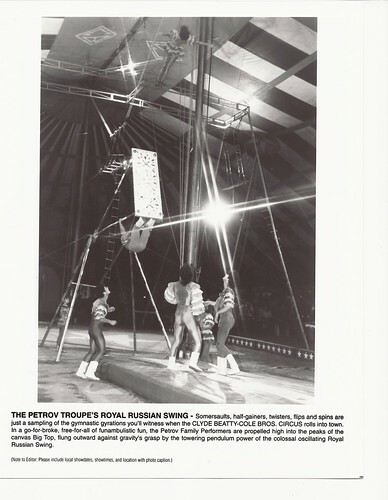 Note how the blues are packed but the grandstand seats are virtually empty, a scene re-played on circuses everywhere in that disastrous season. As is well known, 1938 was disastrous for the economy, wiping out the slow progress we had made out of the depths of the Great Depression. Beginning in 1937 a combination of federal polices wreaked havoc - -new taxes, new increases in required bank reserves, and increased labor costs resulted in severe contraction in the economy. Unemployment rose from 14.3% in 1937 to 19.1% in 1938. 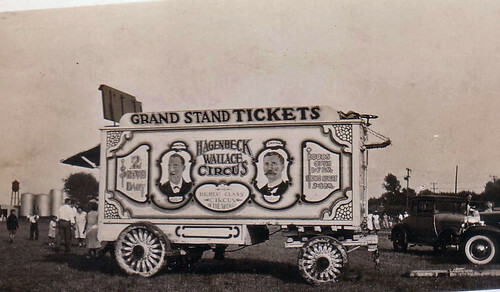 That did it for circuses which depended on discretionary spending. 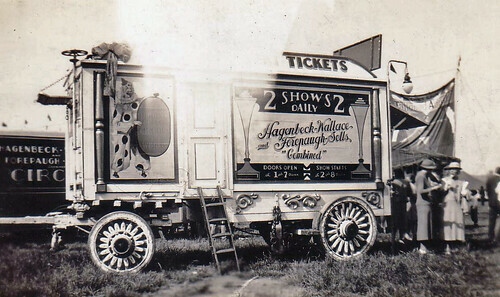 We started 1938 with six railroad shows but by 1939 there were only two. 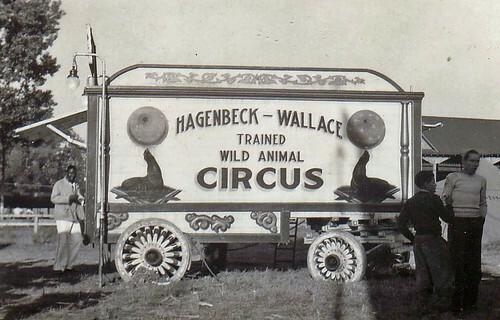 Hagenbeck Wallace TIGER AND CLOWN (1938), originally uploaded by bucklesw1. 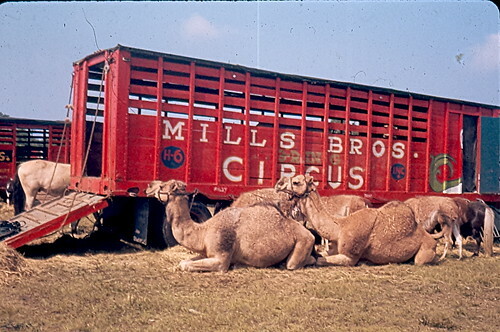 The other day Buckles mentioned that during the "Loading Show" at Circus World Museum, the script made mention of the largest audience ever under canvas being at a performance of the Ringling-Barnum circus in Concordia, Kansas. It made me think of this poster. 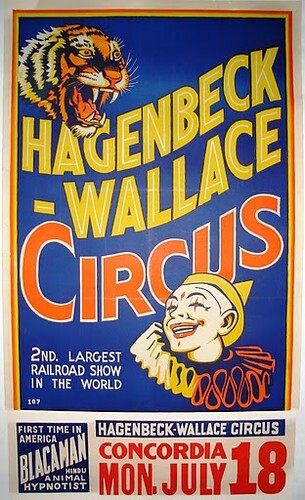 During the 30 or so years that Hagenbeck Wallace was on the road, hundreds of thousands of lithos were posted for the show, however this was one of the last bills, as Hagenbeck Wallace - leased from the Ringling interests by Howard Y. Bary - closed forever (along with so many others) at the end of the 1938 season. 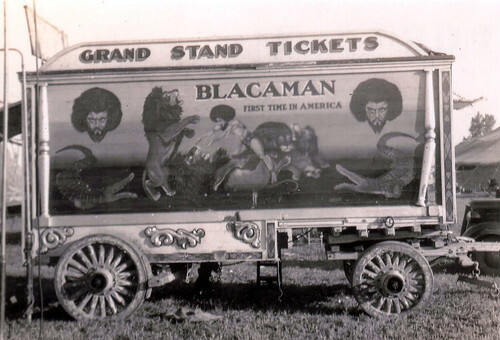 This particular poster, printed by Temple Litho of Mason City Iowa, is not as graphically pleasing as the vast majority of those that carried the Hagenbeck Wallace title - however it does promote "Blacaman" the "animal hypnotist" - one of the biggest acts on the show in 1938. 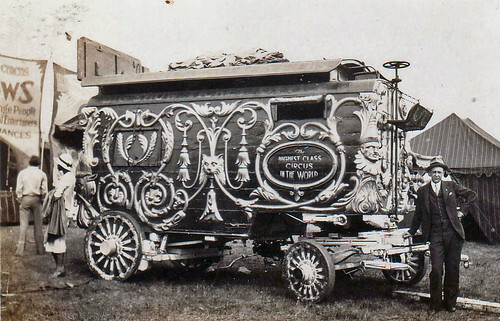 As for Concordia - in addition to making history as the setting for the largest under-canvas crowd ever, it was also where the first section of the Ringling Bros train wrecked early on the morning of May 17, 1892. 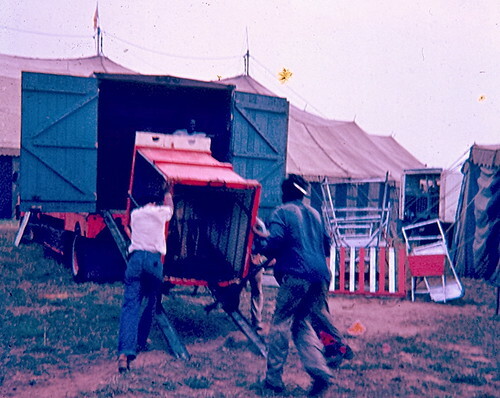 Despite the fact that the train derailed killing two circus workers and 26 horses, the show did go on - playing Corcordia on May 18 with a reported 4000 on hand when the show opened. SAVE2395, originally uploaded by bucklesw1. SAVE0646, originally uploaded by bucklesw1. SAVE2390, originally uploaded by bucklesw1. SAVE2392, originally uploaded by bucklesw1. MAIL0318, originally uploaded by bucklesw1. SAVE2389, originally uploaded by bucklesw1. SAVE2393, originally uploaded by bucklesw1. SAVE2391, originally uploaded by bucklesw1. SAVE2394, originally uploaded by bucklesw1. To the unaware this is what Tennessee Ernie Ford referred to when he sang "I owe my soul to the Company Store" (Sixteen Tons). 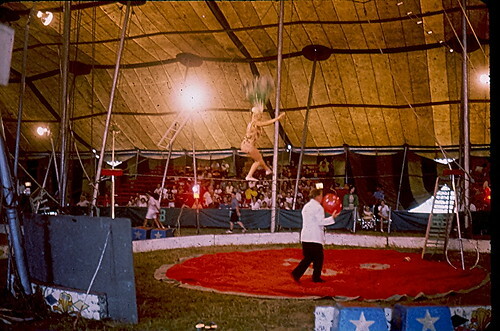 Rather than a Paymaster circuses had a Time Keeper. In this establishment the working men could buy clothes, cigarettes, postal stamps, etc. but most importantly you could make a draw on your salary by the use of dukie books whose coupons were only negotiable with the show (pie car, grease joint, commissary, crap game, etc.) thereby often enslaving good workers for the season. scan0023, originally uploaded by bucklesw1. 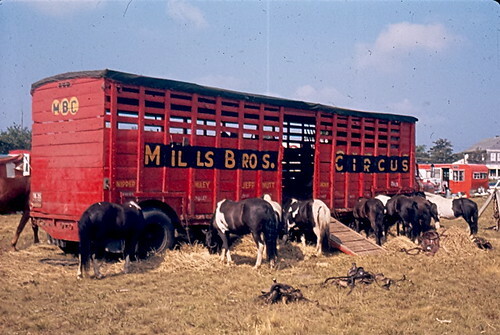 Mills Bros. 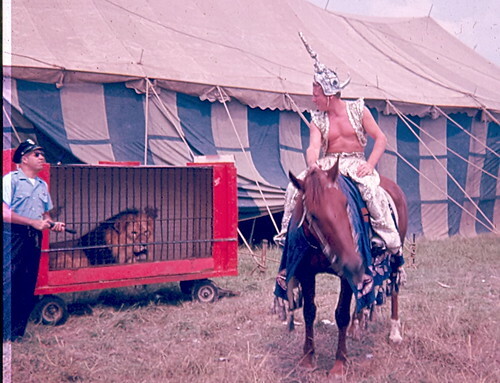 Circus, 1963, from the collection of the late John Cutler. scan0025, originally uploaded by bucklesw1. scan0024, originally uploaded by bucklesw1. scan0022, originally uploaded by bucklesw1. scan0021, originally uploaded by bucklesw1. scan0020, originally uploaded by bucklesw1. scan0019, originally uploaded by bucklesw1. scan0015, originally uploaded by bucklesw1. scan0026, originally uploaded by bucklesw1. 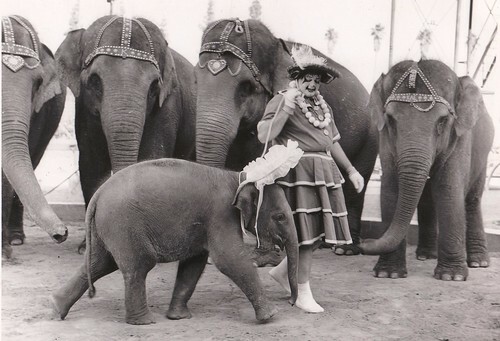 Ringling Barnum ELEPHANTS HORSE & CLOWN (1943), originally uploaded by bucklesw1. 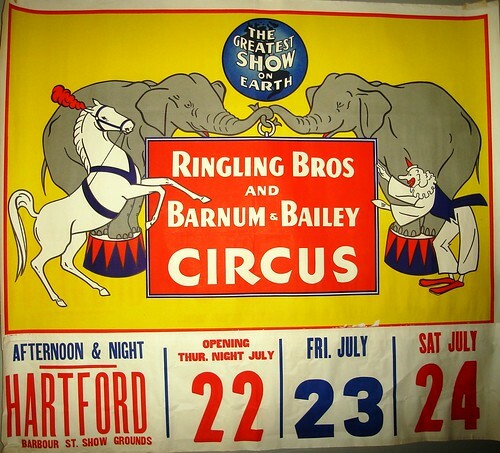 The Ringling Bros and Barnum & Bailey Circus used this familiar graphic for decades on letterhead, route cards and other printed material. 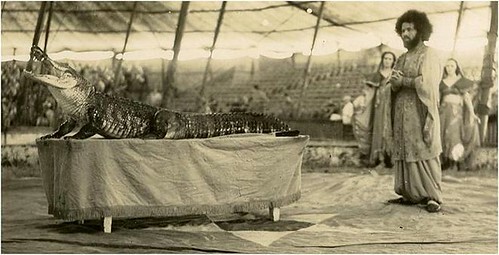 This one sheet version of the image was posted for an appearance at Hartford's Barbour Street Show Grounds in 1943. 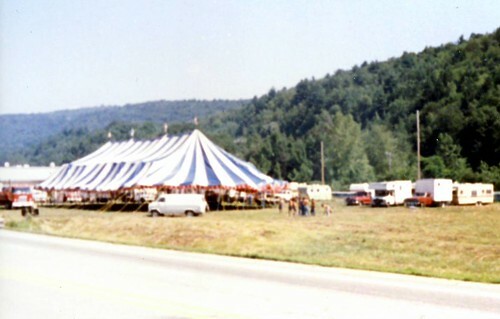 It was on the same lot one year later that the tragic big top fire claimed at least 168 lives. "One of my ambitions in life was to have my name on one of those business cards. John Herriott made it but by the time I arrived the Felds had discontinued using this design." DSC_0363, originally uploaded by bucklesw1. 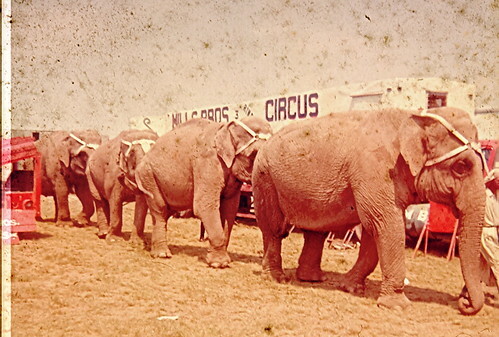 Circus Pages Elephants; DeFuniak Springs,Florida. ben lil ned, skye, originally uploaded by bucklesw1. that are of Ben mostly as in all likely hood Ben and Darlene got copies of. 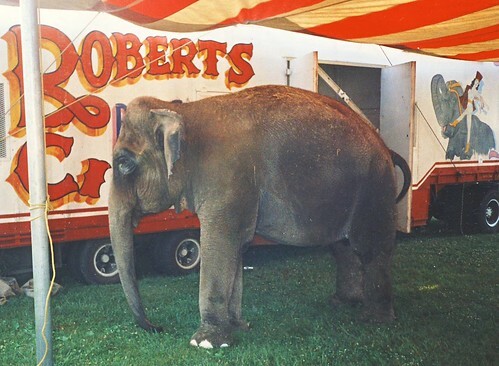 The Big Apple Circus, which has regularly performed in Rhode Island (last summer marked its 25th season in Charlestown’s Ninigret Park) will not be pitching a tent here this year. 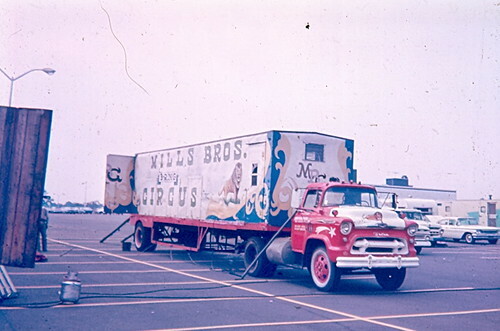 The Big Apple Circus reports that it has already cut costs through layoffs, furloughs and wage reductions. Now it’s canceling some of its traveling shows. doc4b5a161001d6c598545292, originally uploaded by bucklesw1. 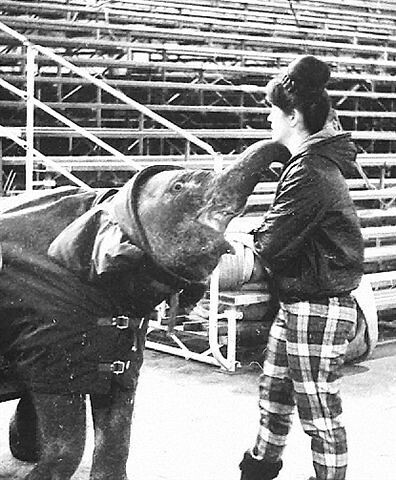 To have a memory like an elephant means that you remember everything. Just ask Brett Carden, 28, owner/elephant trainer for the Shrine Circus/Central States, and he’ll tell you that this saying is definitely true. 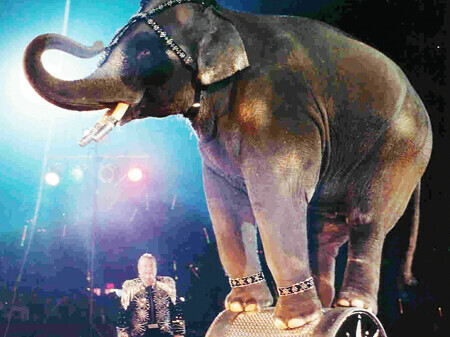 “Elephants never forget what you’ve taught them,” said Carden, who travels the circus circuit throughout Michigan, Ohio, Kentucky, Iowa, Missouri, Illinois, Oklahoma, Arkansas, Texas and Louisiana. Their most recent performance was in Flint, where they finished a four-day run at the Perani Arena on Monday. They have now moved onto to the Dow Arena in Saginaw. 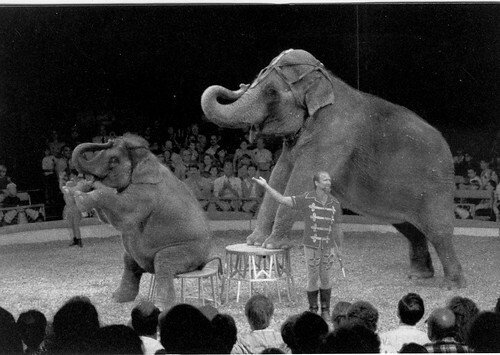 Carden has been an elephant trainer since the age of 15, when his father, circus owner George Carden of the George Carden International Circus, asked him to take over the position when his elephant trainer quit. “I’ve been doing it ever since,” said Carden. 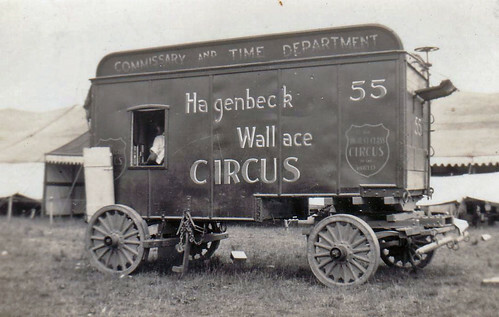 “We work all year away from home,” said Carden, whose wife, Cathy, is also from a circus family dating back to the 1800s. 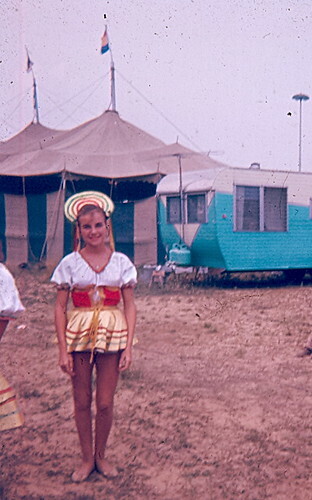 The couple is raising their two sons, 6-month-old Cash, and 2-year-old George, from the circus’ traveling bus, but Carden plans to send Cathy and the boys to Springfield, Mo. when they’re old enough to start school. 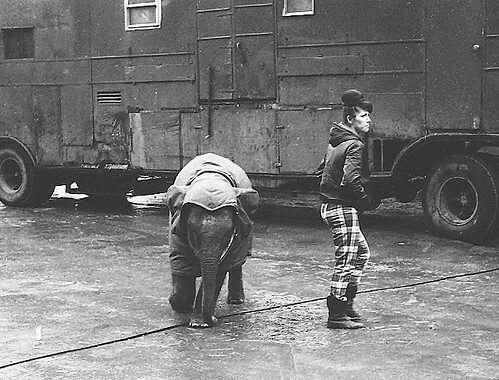 Carden’s job as the elephant trainer is actually the easiest part of his work. 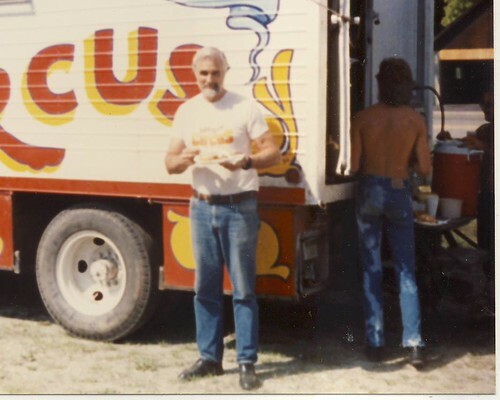 The rest of his time is spent coordinating and promoting the circus before it comes to town, then making sure that everything is taken care of while it is being set up. Like any other business owner, he has a lot of responsibilities in making sure his 80-plus employees are taken care of, down to the important details of keeping all the insurances well paid. 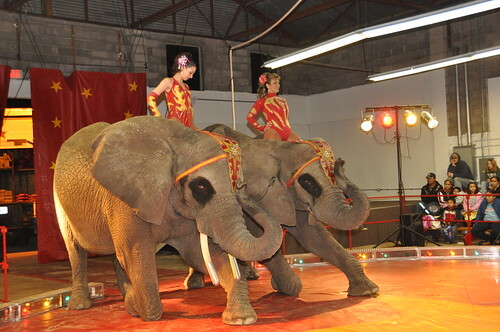 “My job with the elephants isn’t dangerous,” said Carden, who has never been attacked by the them, even though they are considered “wild” animals. 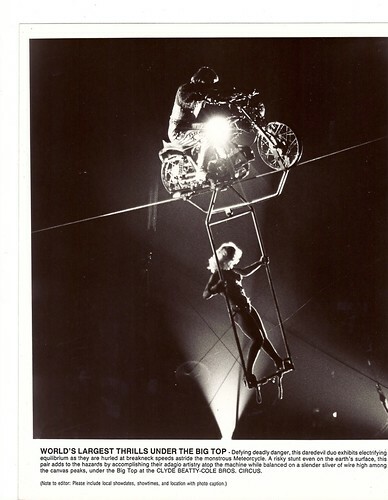 “But, those who work on the high wires definitely have the most dangerous jobs in the circus. I’ve actually seen people take a fall. !cid_0B824808-DB3A-4CA6-A946-DF70CE105365@hsd1_fl_comcast_net, originally uploaded by bucklesw1. !cid_F0EFFB40-C617-478A-9BFA-42584C52CBA3@hsd1_fl_comcast_net, originally uploaded by bucklesw1. !cid_36168CCC-3877-4B4D-84EF-89C63AFDF152@hsd1_fl_comcast_net, originally uploaded by bucklesw1. !cid_42721CED-E095-4B57-A81A-5E31ED5F3EF9@hsd1_fl_comcast_net, originally uploaded by bucklesw1. !cid_49C0426B-116F-4E80-839F-B5989A33EB44@hsd1_fl_comcast_net, originally uploaded by bucklesw1. !cid_6796E698-9549-44BF-A2D9-FDDCC215453B@hsd1_fl_comcast_net, originally uploaded by bucklesw1. SAVE0143, originally uploaded by bucklesw1. 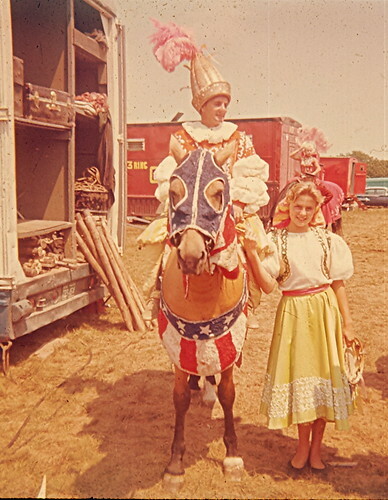 This is Jimmy Douglas and "Stella" later in the season. scan0405, originally uploaded by bucklesw1. 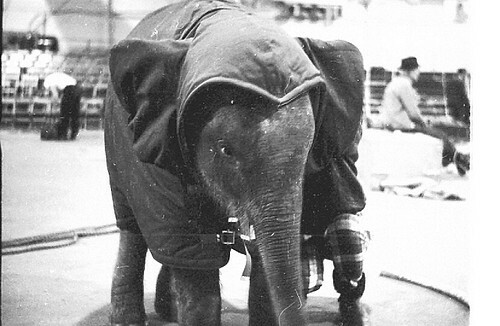 How old would this elephant have been at the time (March, 1966)? scan0407, originally uploaded by bucklesw1. scan0399, originally uploaded by bucklesw1. Tarzan Zerbini, originally uploaded by bucklesw1. 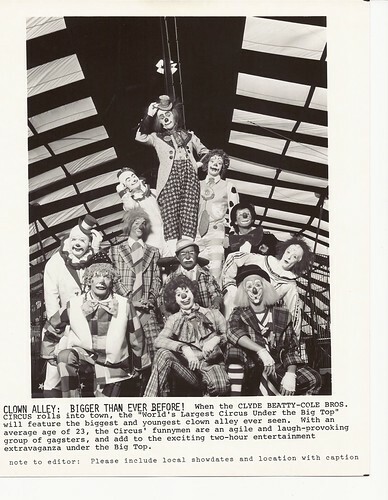 From the collection of the late Larry Crocker. 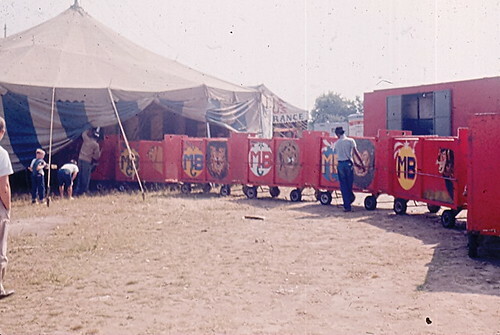 Cage wagons, originally uploaded by bucklesw1. 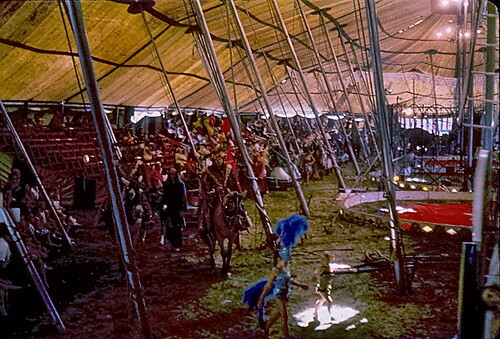 Cats returning to the Side Show. Spec, originally uploaded by bucklesw1. 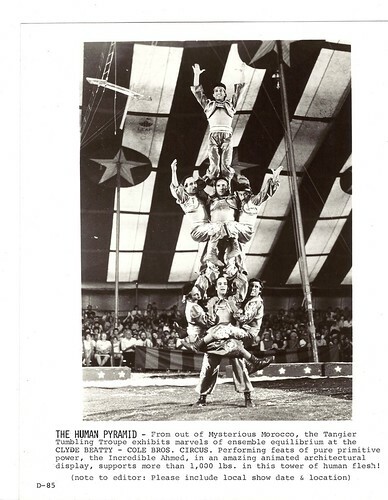 scan0013, originally uploaded by bucklesw1. Pedrolas, originally uploaded by bucklesw1. 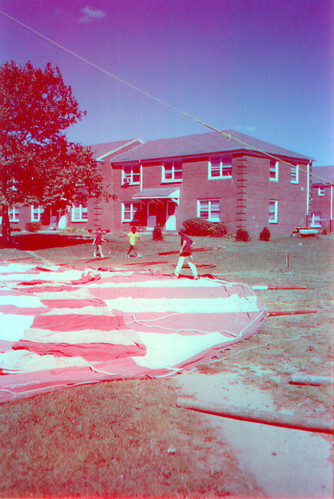 scan0009, originally uploaded by bucklesw1.